Alfie Hart-Fisher Archives | HU17.net – It’s all about Beverley! 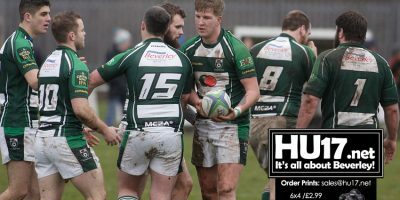 Beverley RUFC started the second half of the season entertaining Pontefract on a cold and grey day, but at least dry conditions underfoot made the prospect of some good rugby realistic and so it proved. In September the Beavers secured a victory over Pontefract in the corresponding fixture over in the West Riding. Results since then shown that Ponte has improved substantially and they currently sit fourth in the table, with 13 points more than Beverley. Moortown beat Beverley in their last of the year 39-10 as they showed why they are top of the table. 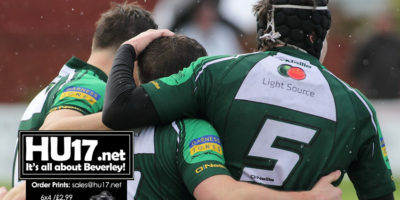 Going into the match with a number of players missing and also the harsh conditions meant the Beavers had to dig deep. Not much joy here for Beverley. Over the years they have seldom had much success at Acklam Park and today was no exception. A catalogue of errors, missed tackles, and conceded penalties, left them trailing 22-5 at halftime. It was not a great first half. They were left with a big hill to climb and in the end it proved just unattainable despite a splendid second half effort which got them to within striking distance of taking the lead. The first quarter of an hour seemed to be little more than a relentless stream of penalties awarded against Beverley in their own 22. For some time it looked ominously likely that we were in for a second successive dismal week of incessant whistle blowing. 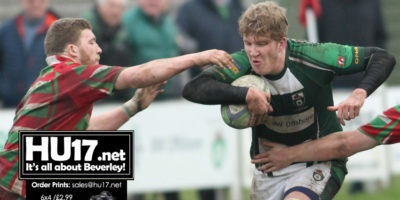 Beverley hosted a resurgent Selby at Beaver Park on a miserable wet and grey day when conditions were bound to be difficult to allow much entertaining rugby and, so it proved. The match was held as a Memorial game to celebrate the life of Lee Morley, a good friend of the club who, sadly passed away last year. Proceedings from the match and lunch raised over £3000 to be donated to Ward 29 at Castle Hill hospital at the request of Lee’s family in thanks for the care given to Lee during his extended time there. 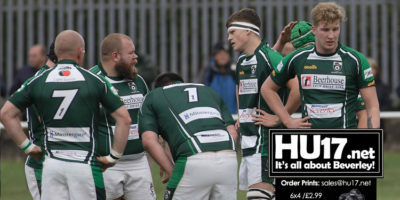 Beverley RUFC travelled across to Keighley in confident mood, lying in a handy second position in the league table following last week’,s convincing victory over Moortown. Starting well Beverley dominated proceedings for much of the first quarter and after 19 minutes took the lead through a Luke Hazell try which was converted by Phil Duboulay. Beverley RUFC kicked off on a wet and blustery afternoon at Beaver Park to start this Yorkshire Division 1 fixture, and immediately mounted an assault on the Keighley line. But, largely due to determined defence by Keighley, were unable to capitalise on their possession of the ball in the early exchanges. 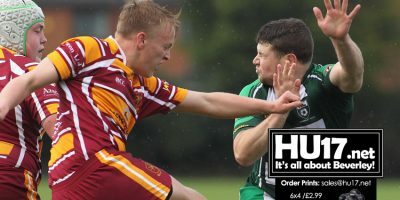 In fact during this early period Keighley were unable to hang on to the ball for long enough to get out of their own half. The blue and golds will make the trip to face Bentley near Doncaster this Saturday in their second YML Premier Division fixture of the season. The coaching team of Scott Taylor, Pat Howdle and Duncan O’Connor have been busy keeping the first team squad fit during a 3 week lay-off. 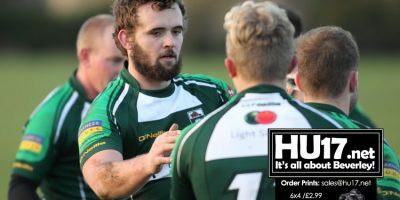 Beverley RUFC will be looking to make it four wins in a row when they entertain Keighley at Beaver Park in the 2.15PM kick off. The Beavers go into the Norther Division clash in good form that saw them end 2016 with a run of three wins. 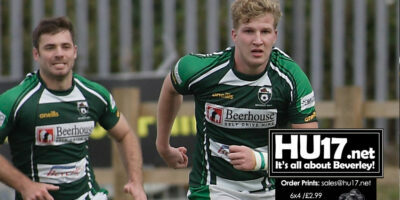 A cracking game between two well-matched sides and a cracking Beverley RUFC performance. Salem are a different proposition from the team that struggled earlier in the season and the young Beverley side would have expected a tough afternoon here. That they romped home in such fine style owed much to a composed team effort and a fearless attacking game. 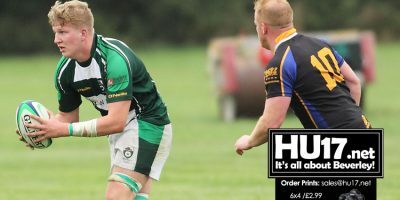 Robert Smith who scored four tries in Beverley RUFC’s win over Harrogate says he is pleased to be back at the club and is looking forward to the new season. 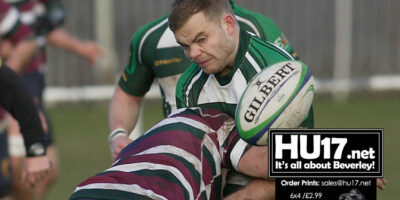 Beverley RUFC host league leaders Morley at Beaver Park this Saturday following their Christmas break.